Whatever you’re doing, the 2017 Ford Explorer is game! This three-row midsized SUV has everything you need for life in Alberta – 4WD for winter conditions, powerful yet efficient engines, plenty of towing capability, plus more than enough room for your family!  Take one of these incredible SUVs for a test drive today at Team Ford in Edmonton, AB. We offer plenty of brand-new Explorers in our New Vehicle Inventory, as well as lightly-used examples in our Used Vehicle Inventory. Either way, we have an Explorer for you! The 2017 Explorer offers more space than a sedan and more towing capacity than a minivan – making it the perfect compromise! The interior can hold up to 1,240 litres of cargo with the rear seats folded, and can tow up to 5,000lbs when properly equipped. And with space for seven passengers, the Explorer can take everything you can throw at it! As a family vehicle, the 2017 Explorer also has everything you need to keep yourself and your passengers comfortable and entertained for even long road trips. Dual 2nd row USB ports let your passengers charge their toys, while SiriusXM Satellite Radio keeps you entertained up front. Plus, the available SYNC3 system and its handy touchscreen give you access to Bluetooth, navigation, and a multitude of other features at your fingertips!